WifiGem consists of a server and one or more WiFi hotspots. The Server hosts the Dashboard and provides the typical Captive Portal functions. The hotspots are the users' entry point to the network. When a user connects to the WiFi network, the hotspot checks whether the user is already authenticated or not. If it isn't, redirects the connection to the server, which displays the login page on the user's mobile device and authenticates their credentials. With the Social Media login, the server asks for authentication to the Social Media. Once the user is authenticated, the hotspot gives the green light to the Internet. From now on, and according to the usage limits defined in the profile, the hotspot will grant access to the Internet. It seems a contradiction, but it's not. 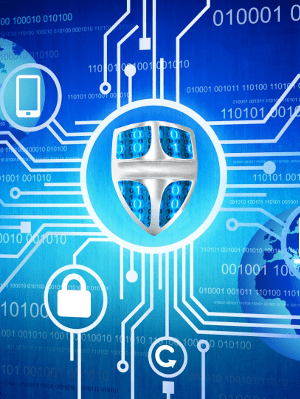 In fact WifiGem shifts the user authentication from the hotspots to the server, whereas in a normal WiFi network, security is left on the hotspots, with all the risks and maintenance problems entailed by that. Normal WiFi hoptspots are the weakest elements of the network, because their security systems have well-known vulnerabilities. So, being exposed outside, they are subject to attacks. Anyone who finds out the hotspot's password, would not only have unlimited access to the Internet, but to the entire local network. Another downside is the fact that, with a large number of hotspots, their maintenance becomes difficult, and for example, the task of changing the password must be repeated on each appliance. Moving the security checks on the server, offers the advantage of its greater power and protection. The server is not exposed to the outside, so it cannot be attacked from the Internet. To increase security, the hotspots use for WiFi connections a different subnet than that dedicated to your business. This makes it impossible for a mobile device connected to a WifiGem hotspot to get into the rest of the network. The isolation between the WifiGem network and the network dedicated to your business, therefore, is achieved without using extra devices, like bridges or routers. The WifiGem system is complete and ready to use. It is delivered pre-configured, so that, once the server and the hotspots are switched on and connected to the Internet router, it is ready to work. As a prerequisite, it requires an ADSL connection and at least one hardware appliance (router or network switch) where to connect the hardware. Each device requires one LAN port (RJ45). 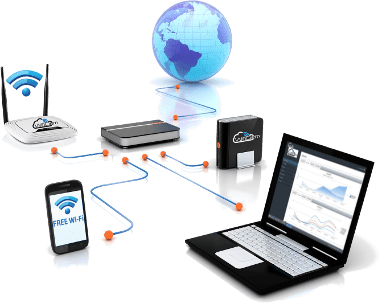 WifiGem does not require network resources except those needed for the Internet traffic of WiFi users, and those needed by the communication between the server and the hotspots. 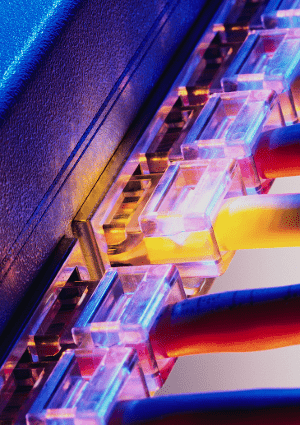 The installation into existing network architectures is done in a transparent way by simply connecting the WifiGem devices, servers, and hotspots, on the available ports on an existing network switch or router. For a specific network configuration, if the default is not compatible, the Dashboard allows you to change the server's and the hotspots' network settings as needed. In order to operate, the server and all the hotspots must have access to the Internet.